Specialty venetian blinds are generally installed at the exterior and interior of homes and commercial buildings and in double-skin facades. 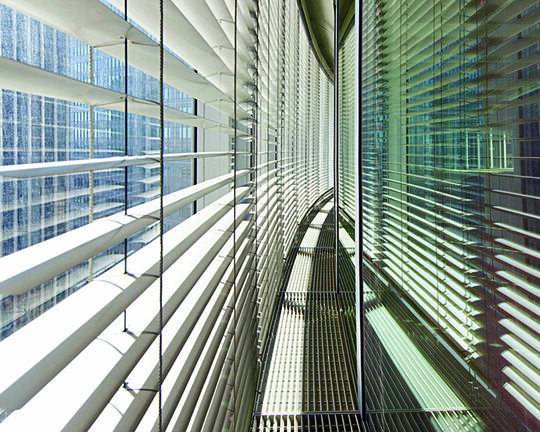 The blinds consist of aluminum slats and high quality components to operate them, and provide the benefit of controlling privacy, thermal comfort and very effective solar management by expanding, retracting or tilting the slats. 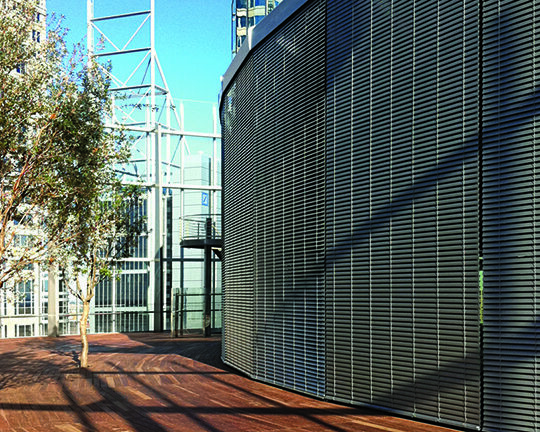 They are a great option for new buildings or renovations, and can be installed onto a building’s facade or on floor to ceiling windows and sliding doors, verandas and outdoor spaces. Available in different sizes, finishes and colors, specialty venetian blinds maintain a building’s highest performance level. 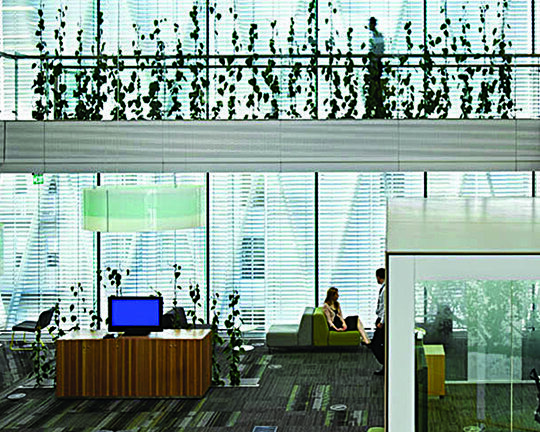 Motorized blinds can be independently controlled or seamlessly integrated into existing building management systems. 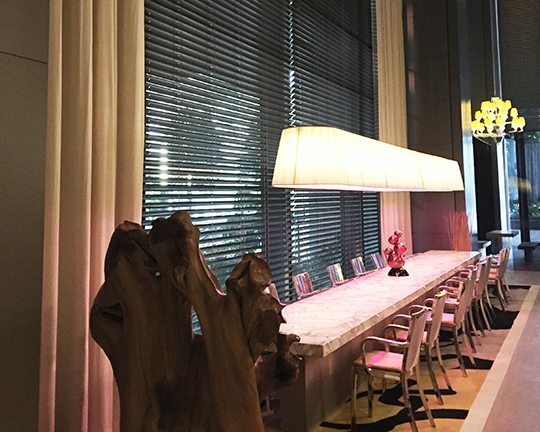 Shades By Design’s specialty venetian blinds can be manufactured to accommodate large facade openings with widths of up to 6 meters (20 ft) and drops up to 9 meters (30 ft) with a maximum area of 45 square meters (484 square ft). 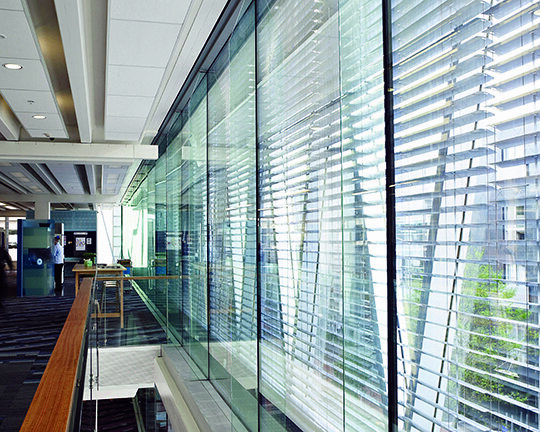 The blinds are designed to withstand high winds*, snow, ice and other extreme weather conditions. 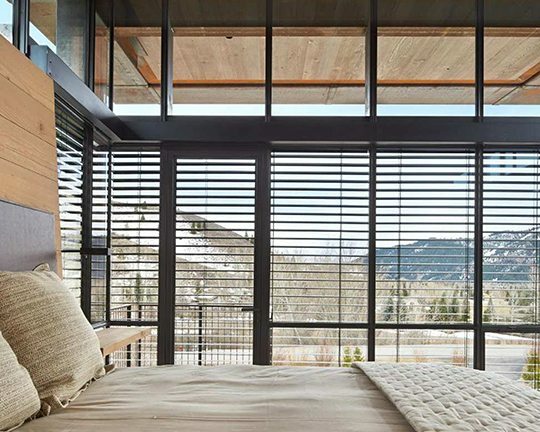 Contact our motorization department to find out if Specialty Venetian Blinds are right for you!